On this day in 1989, the World Wrestling Federation aired an episode of their weekly TV show ‘WWF Prime Time Wrestling’. It featured pre-taped matches, studio interviews & storyline segments on the road to the ‘WWF WrestleMania V’ PPV. 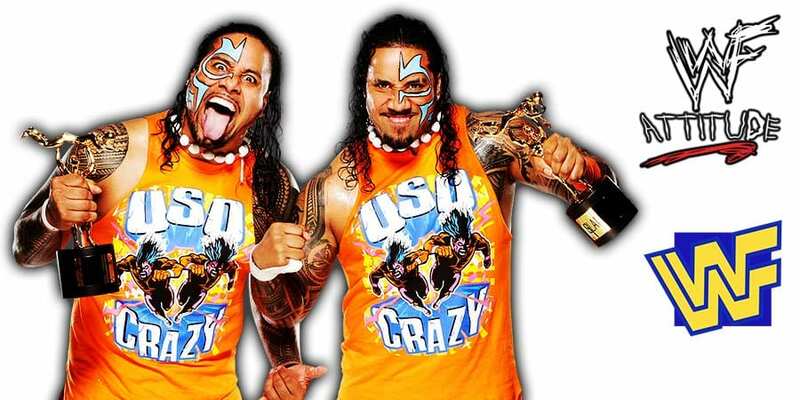 Current SmackDown Tag Team Champions The Usos are set to make history at WrestleMania 35. They’re going to become the first tag team ever in WWF/E history to enter 3 consecutive WrestleMania events as the Tag Team Champions. The previous of 2 consecutive WrestleManias was held by Money Inc (WrestleMania 8 & 9) and The Dudley Boyz (WrestleMania 16 & 17). Current rumor is that The Usos vs. The Hardy Boyz for the SmackDown Tag Team Titles could be taking place at WrestleMania 35 (but this could turn into a multi-team match).